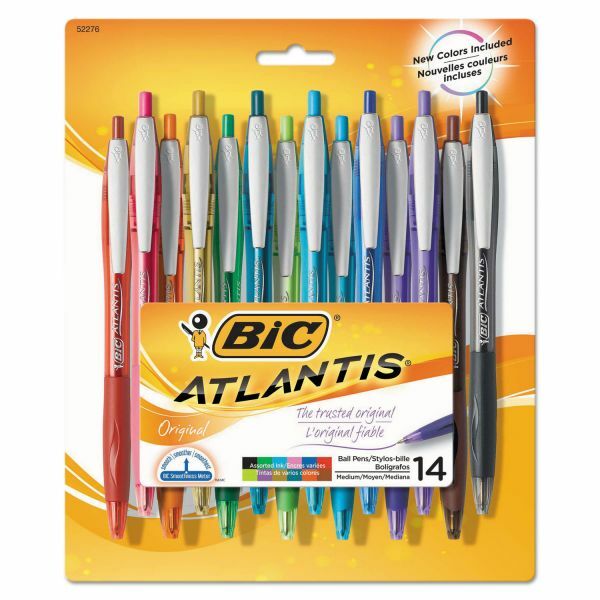 Even smoother than the BIC classic ink system. 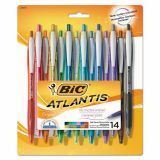 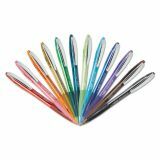 BIC Atlantis Retractable Ballpoint Pen, Medium 1mm, Assorted Ink & Barrel, 14/Pack - Atlantis Original retractable ballpoint pen is the trusted original for a classic look and feel. 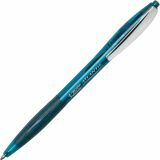 Writes smoother than the classic ink system. It is an everyday, smooth-click retractable ball pen with a comfortable rubber grip and metal clip.